At Masterflex we have a range of technical hose designed and manufactured specifically to enable their use in high temperature applications. The Master-Clip Iso Silicone hose, is highly flexible and has an outer helix that protects against abrasion and scuffing and is flame retardant. It is suitable for extraction of industrial fumes at high temperatures, and removal of engine exhaust gas fumes at high temperatures. If you work within Automotive, Aerospace or Shipbuilding industries, or general engineering, this is the hose for you. It has a temperature range of -60ºC to +300ºC (intermittent to +350ºC). Should your application require additional features such as vibration resistance, there are other hoses in the range which have been designed to meet these needs. The Master-Clip Iso Car is one of these. A 2 ply special coated high temperature fabric ducting with external galvanised steel helix. 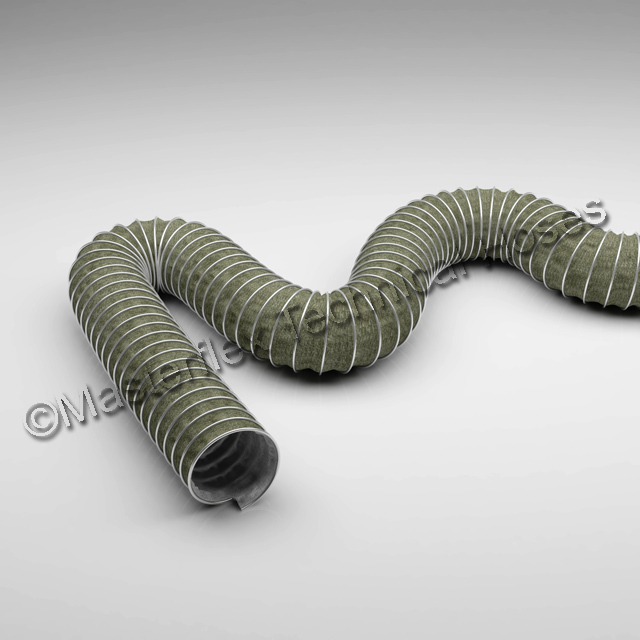 Again this is a highly flexible ducting with an outer helix protects against abrasion and scuffing making it suitable for more robust applications. It is vibration proof, and abrasion resistant. High temperature exhaust gases in heavy industry where vibration is involved would find this product highly beneficial. This high temperature product has a temperature range of -60ºC to +300ºC (intermittent to +350ºC). These are just two of the products in this industrial hose range, the entire range of heated hoses produced in our site at Oldham, Manchester, can be seen by clicking the link below.